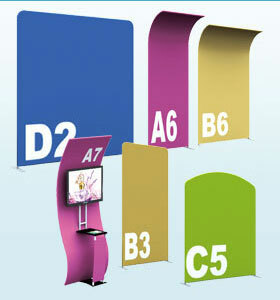 Fabric tension displays are becoming more and more popular in trade show exhibit displays industry. 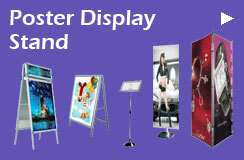 A fabric tension display consists of dye-sublimated fabric graphic and display frame. 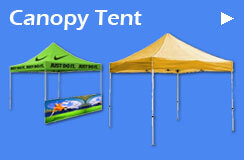 It is light weight, easy to set up and transport. 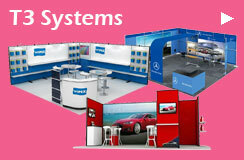 Modular Display are more flexible for your trade show design. 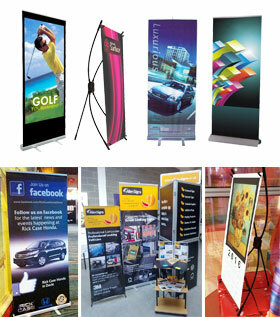 When it comes to trade show display, customers are always attracted by the ideal and outstanding display. 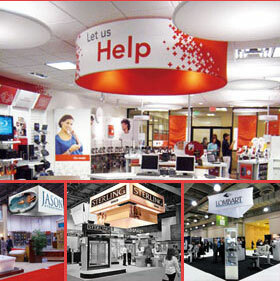 Now we offer free splicing back wall that make your design have more flexible through combining different parts. 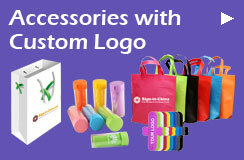 The trade show kits are resolution for trade show. 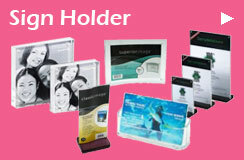 The trade show kits offer more convenient support. 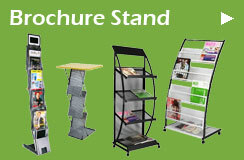 Only by drawing the attention should one trade show display make difference, which is also our goal for presenting this series of products. 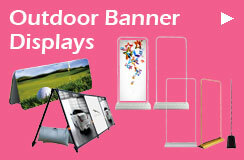 Hanging Banners are a popular way to broadcast your company's prescience at your trade show. 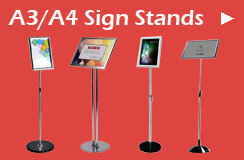 Our Hanging Sign frames are made of light-weight aluminum and are easily assembled. 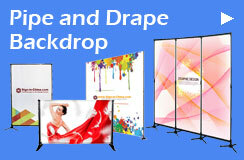 The graphic is made of tension fabric and printed digitally with Dye Sublimation machines. 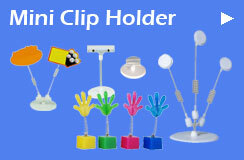 They're printed in full colors as you want. 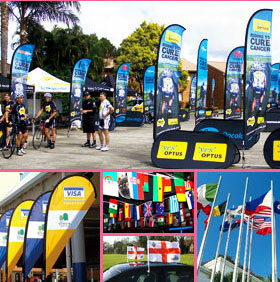 Flag banner stand is a type of outdoor banner stands, different shapes such as feather flags, wing flags and teardrop flags available. 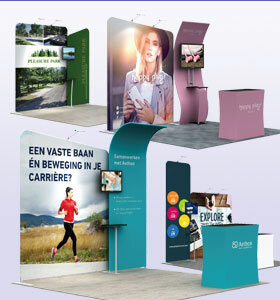 If you want your message stand out in high traffic area, flag banner stand are the perfect trade show exhibit displays for increase the visibility of your business. 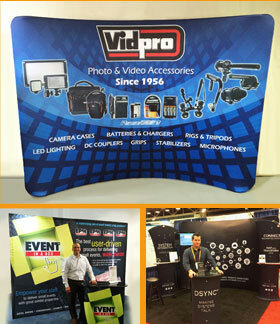 With custom logos and graphics, table throws are a kind of trade show exhibit displays that extending a warm welcome or increasing notice on a trade show. 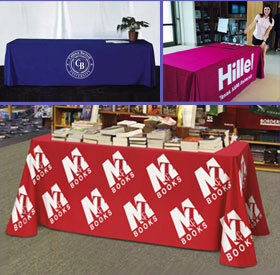 Our table throws are printed using a full-color dye-sublimation process. 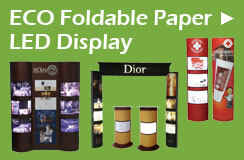 Your custom design can cover the entire fabric, and is not limited to the front panel. 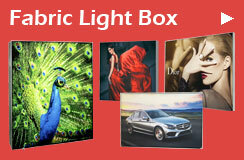 140 Categories, 15146 Products, Worldwide shipping to 180 countries.